Bengal has bagged many awards from the Centre for agriculture. Has that changed under the Modi govt? To counter the upsurge of the BJP in West Bengal, the state government is preparing a report on awards that have been received during Prime Minister Narendra Modi's regime. 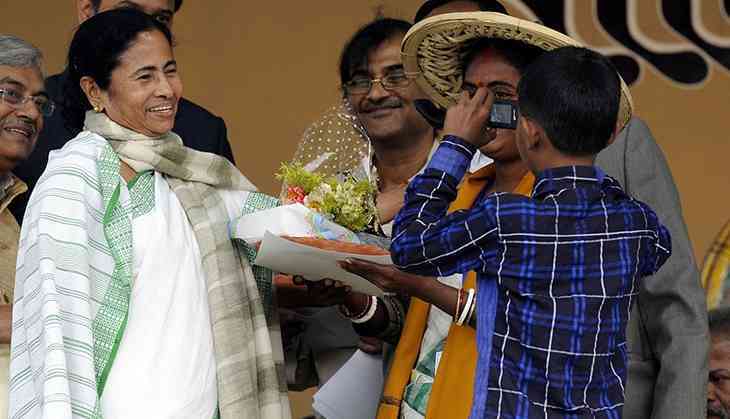 While the primary object is to counter the saffron party's narrative that Bengal is lagging behind in various sectors, the report will also asses the growth of the state under the All India Trinamool Congress (AITC). The state government has received Krishi Karman awards from the Centre for good agricultural production for last five years since 2011. It also won awards for cattle breeding and rearing last year. The certificates from the concerned ministries will be showcased by the chief minister during her public rally to counter BJP president Amit Shah’s statement that state is lagging behind in every aspect. Sources in the state government said that the report will also highlight the rise of GDP growth in Bengal compared to India. Going by the statistics provided by the state government, Bengal's GDP growth doubled from nearly Rs 4.61 lakh crore in 2010-11 to Rs 9.20 lakh crore in 2015-16. Senior officials of the state government said apart from the rise of GDP, the state government will also project some of the schemes in their report that has received accolades from the Centre such as for the Kanyashree Clubs and Khadya Sathi Scheme. On the other hand, the BJP is trying to distribute booklets of "Ebar Bangla" where the party is attempting to highlight central schemes that are available for the people of Bengal. Significantly, a few days ago, when Amit Shah was in Bengal, he spoke at rallies about the economic package offered by the Centre to the state government. Under 14th finance commission, he said, West Bengal received Rs 34,732 crore in the form of grant in aid The bank credit for West Bengal is around 5% as compared to national average of 9.86%. The state’s disaster grant has also been increased to Rs 2,140 crore from Rs 1,263 crore and the local bodies grant has also been increased to Rs 20,832 crore from Rs 1,444 crore.